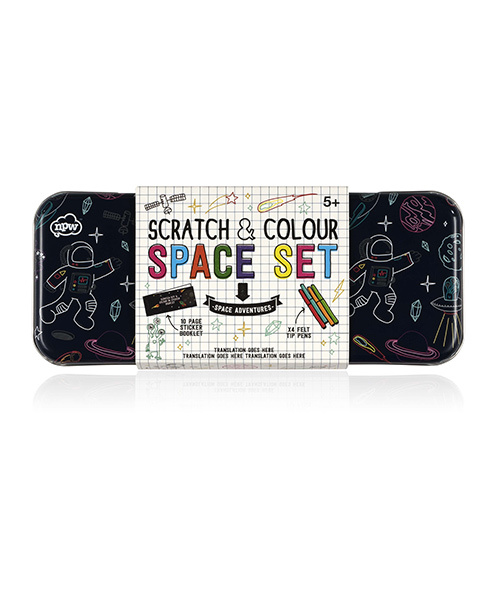 Make the solar system come alive with this exciting scratch & colour space set. The handy tin contains a scratch off activity booklet and four coloured pencils so you can reveal and colour in your own stickers. A whole lot of fun in one space themed tin.